I’m back today after an exhausting weekend prepping for Cian’s first birthday party yesterday. I did a lot myself from baking every cupcake, cookie and even Cian’s dairy free cake to assembling the store bought decorations. It was a dog themed party, and turned out very cute! You can see some pics on Instagram. 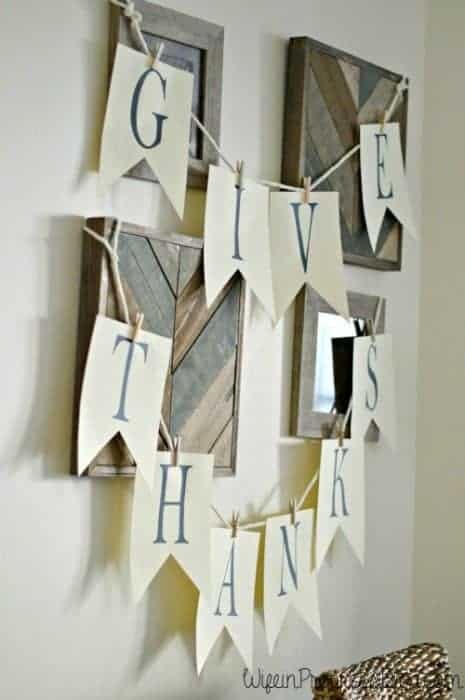 I meant to share this Printable Thanksgiving Pennant Banner last week along with my Thanksgiving Tablescape but for some reason completely forgot to hang it up. Better late than never, right? Click the download button below to get this banner in pdf form!